One of the things I have tried to live by consistently is that “you should never worry about or count another man’s money.” I don’t question any man’s idea of what he wants to do with his money because it is his. I may not understand what that man does with his money but I will never question what he does with it. Some call it “meat peepin” and others like me call it “watching another man’s piss”. People need to in paraphrasing Snoop Dogg “keep their mind on THEIR MONEY”. This past week two incidents have brought this idea full circle in people wanting to clock, attribute, and disperse how much Kevin Durant and Dr. Dre donates. This past week we had a horrible tragic tornado that struck the Oklahoma City, Oklahoma area. 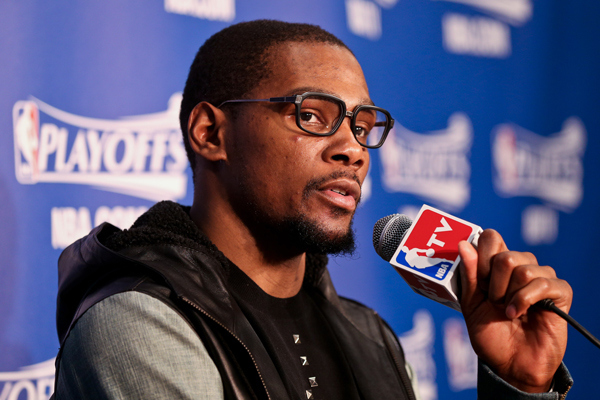 Kevin Durant a player on the NBA franchise was one of the first people out there tweeting and encouraging everyone to help with the relief efforts. Not only was he the first pro player on the front lines in support of the city he calls home but he also unlike many people put his money where his mouth was in the tune of a 1 million dollar donation. This sounds like a great and humble gesture doesn’t it? Not for some people who were quickly trying to tell him he should have donated more and that it’s easy for him since it is a tax break. That amazed me that people would sit there and say that he should have given more money considering how much he makes in salary and endorsements. After further investigation come to find out that the amount of money he gave wasn’t even going to be a full 1 million tax write-off for him. 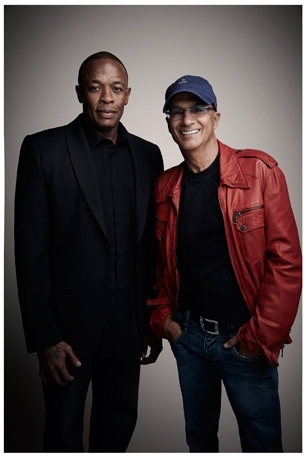 Then earlier this week some people went into even more of a tizzy as producer and rapper Dr. Dre and Jimmy Iovine decided to start a special music program at the University of Southern California (USC). Dr. Dre is reportedly donating 35 million to the school. Sounds like a cool thing right? Oh no it wasn’t! People were then criticizing why Dr. Dre didn’t donate the money to a Historically Black College and University(HBCU). Even Dillard University’s Dr. Walter M. Kimbrough writing an opinion piece to Dr. Dre calling out Dr. Dre for not “giving back” to black colleges because he was first embraced by black culture to get him where he was. Both of these situations both concern me because in the case of Kevin Durant a million dollars is a million dollars to give to a just cause. How many people gave a million dollars or even a dollar to the people in Oklahoma City? People never question the executives at Goldman Sachs or the owner of the Oklahoma City Thunder (who writes Durant’s checks) about how much they are donating to cause but people always question athletes’ money: how much they make and give. People have always commented on him being a humble and stand-up brother but people are attacking him for not being earnest and just using it the donation as a write-right off. So, what if he gets a write-right off on it is going to help people who need aid from a natural disaster Why are you not making things happen to make those people have support in Oklahoma City instead of pointing the finger at what you think someone else should be doing? Then on the other hand with Dr. Dre that’s a very interesting situation because I understand the idea (and agree with) that some black people do need to give back more to communities and people who need them. It perplexes me that people are in a heavy uproar over Dr. Dre not giving to HBCU’s when some of the same celebrities and alumni aren’t put to task about their donation dealings. People question Dr. Dre’s donation don’t consider what the program entails and in some way are saying that there are only black students at HBCU’s. HBCU’s have been debated by their need in a society now that is considered equal and “post racial” which I disagree with the notion that HBCU’s aren’t needed because they service some students that many not have the same opportunities of education. Do the HBCU’s need more support? Yes they do. But, they aren’t the only people who need educational philanthropy support. Would it have been nice if he donated some of the money to various schools? Yes, but he didn’t, get over it. Once again who are you to question Dr. Dre’s donations when you won’t give ride for the cause of HBCU’s so dear to your heart but criticize what should be done instead of doing? It all comes back to the original premise of staying out of another man’s pockets and what he does with his money especially when you are doing the same things with your money. We need to make more of consorted and righteous effort of making the changes we want to see in our world instead of expecting others to do it for us. It’s like being in a battle and you work as a cook and you tell the soldiers when they come back what they should be doing out there on the FRONTLINES. There are usually only a few people who inspire and make change while others will sit on the sidelines and say what they should be doing it. But, the time you sit there worrying about another man’s money you don’t make the changes in your own life and the changes you really want to make in your community. Tags: 1 million dollar donation, Dillard University, dr. dre, giving back to black culture, HBCU, Jimmy Iovine, Kevin Durant, Snoop Dogg, University of Southern California. Bookmark the permalink. Previous post ← I’m Going Back to…Cleveland? Cool Blog…just one question as it relates to the Dr. Dre portion… did USC send a proposal to Dre and Jimmy about getting their help to fund a music program? I would think they had to submit something in the form of an idea and why they needed, or wanted their financial assistance. Also, if USC (which I’m sure has their stuff together from a financial standpoint) submitted a proposal to Dre, I wonder how many HBCU’s have done the same thing. I mean it’s not like Dre is a graduate of Moorehouse and has never donated to them and all of a sudden choice USC to give a bat load of money to. It’s a music program, Dre does music… his money went to advancing music education…not just advancing USC. Just my thoughts.